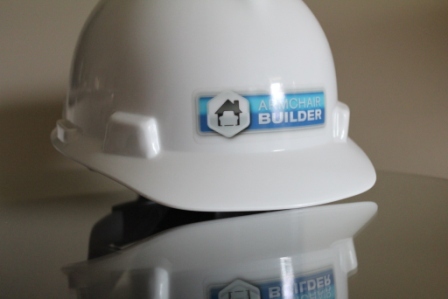 Construction Safety: Just Do It.- Armchair Builder :: Blog :: Build, renovate, & repair your own home. Save money as an owner builder. Construction Safety: Just Do It. 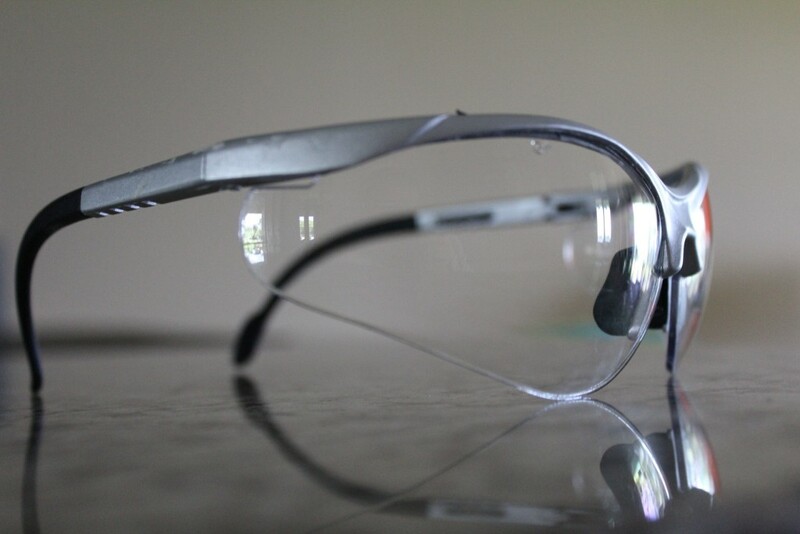 “Why would I need safety glasses…I’ve never gotten hurt on a job site!” “I don’t need a hard hat because nobody is working above me.” These are common phrases you hear when running a construction project. However, there are real consequences to ignoring good construction safety practices. Here are a few tips to keeping your project safe. The subcontractors you hire to build and repair your home should be completely competent and skilled in their trade. This knowledge should include common construction safety practices while working on the job. All of the company employees should have had training on how to keep safe on the job site. Language should be in your contracts requiring this. I wear a hard hat most of the time when working or when I visit a job site. This is partly to cover up my receding hairline…and to prevent major sunburn…and more importantly to send a message about construction safety. Construction safety is one of those things workers quickly forget on a construction site. This is especially true when it becomes slightly inconvenient. “But I don’t want to wear my hard hat it’s too hot.” If it’s too hot to work, then stop working. But if you are working, you need a hard hat. That has always been my stance for workers working on my homes. As an owner builder, you aren’t expected to be a construction safety expert. This is why you only hire competent companies to do work for you. However, there are times when plain old common sense should be applied. I was walking down the street the other day and noticed a maintenance worker at the top of a twelve foot tall A-frame ladder leaned up against a tree that was swaying in the breeze. All I could think of was…are you really too busy to open up the ladder and use it how it was intended to be used? So even if you aren’t well versed in construction safety practices, you can always apply common sense to the work being done on your home. If you see something that doesn’t look right, by all means, say something. And if it doesn’t look safe, stop the work. Your daily quality check on your new home build, renovation, or repair project should also include a construction safety walk through…checking for any hazards. Caution tape, signs, temporary guard rails…are all easy to use and can be very helpful. Several years ago my trim carpenter’s new employee was cutting a piece of base molding on a compound mitre saw. If you’ve ever used one of these, you know that sometimes the piece of material can get stuck, or caught in the blade. In this case, it did and his reaction caused the top of his hand to come into contact with the saw blade…cutting through the tendons in his hand. Needless to say, It was an ugly day on the job site. The good news is, he retained full function of his hand after several surgeries. So make construction safety a major priority on your project. This article is just the beginning steps to creating a safe project. For more information about protecting yourself when hiring workers for your home building project, check out our previous article titled, Owner-Builder Liability. Or checkout these articles…Owner Building: Risks Vs. Rewards and Building Your Own Home: What is the Liability? 2 Comments for Construction Safety: Just Do It. I honestly have to say that when I was younger, I really didn’t give that much care with those safety equipment. Why? Cause nothing bad ever happened to me. But, when I saw people had accidents (even saw one loosing a finger), I started wearing them and started following safety guidelines. I sure do hope that not a lot of people think like that nowadays. Don’t wait for accidents to happen.